After Halloween had past I did wonder what I would use my new ‘Tangerine’ Sugar Flair colouring for now, will it be left in the cupboard till next Halloween?! 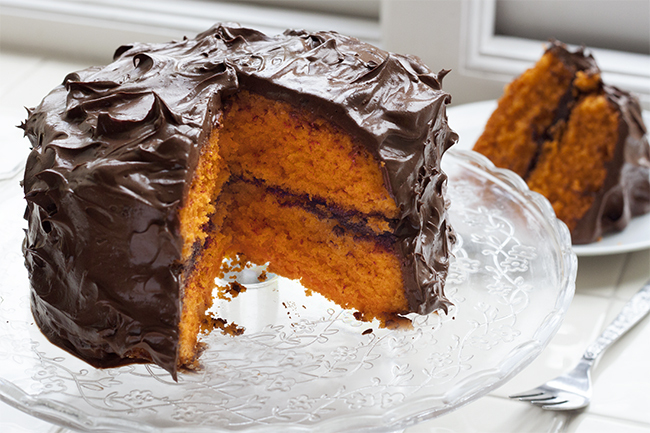 I also had some left over oranges which I wasn’t too sure on what to do with, and then the two just clicked together…a literally orange cake with a classic and yummy dark chocolate ganache. This cake is a classic combination of flavours, like a Terry chocolate egg in a cake! Yum! I took it into work for everyone to try and it went down well. The portion sizes are generous, the colour is vibrant and the flavours really work. 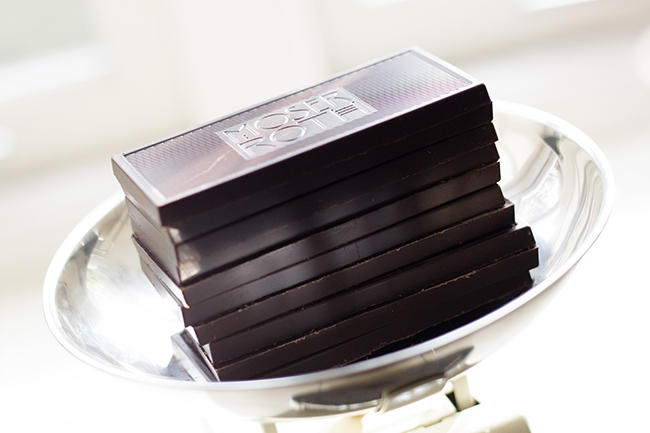 When the cake is covered in gorgeous ganache, no one will guess the surprise inside waiting for them! 1. 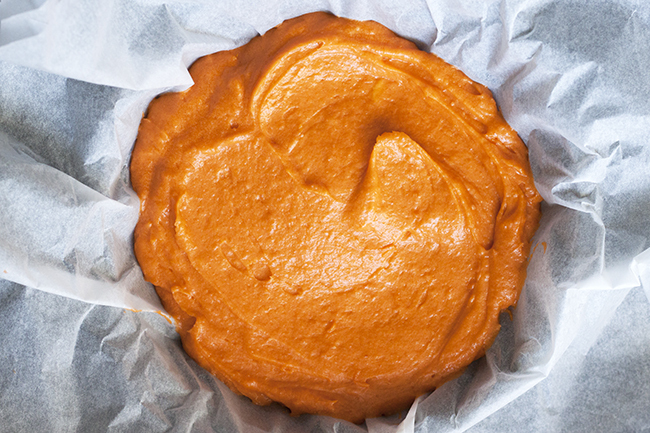 Preheat your oven to 180oc or gas mark 4 and line your cake tins with butter or baking paper. 2. 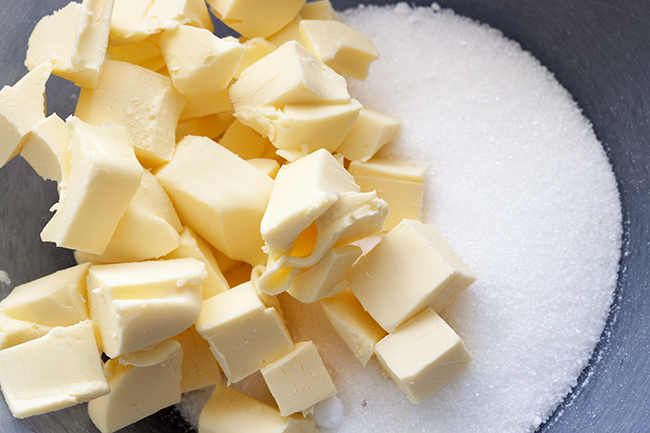 Whisk together the butter and sugar till fluffy. 3. Add one egg and a little bit of flour and mix. Add the remaining eggs, one at a time adding a little bit of flour every time (this prevents the mixture from curdling). 4. Add the remaining flour and mix. 5. Grate your oranges and add the zest to the mix, with half of one of the oranges add a dash of orange juice and mix. Add a small dash of milk, mix. Finally add your food colouring and mix. 6. 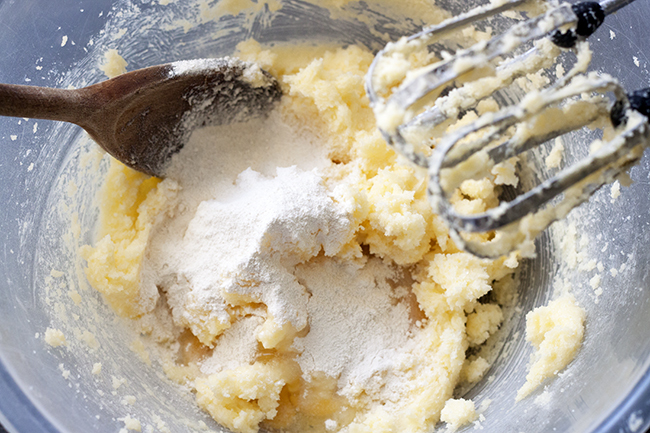 Split your mixture in to the the two cake tins and pop in the oven for around 30 – 40 mins. To test if they are ready prick your cake with a fork, if the the fork comes out clean they are ready, if the fork comes out with sticky mixture on it then leave your cakes a little longer :). 7. 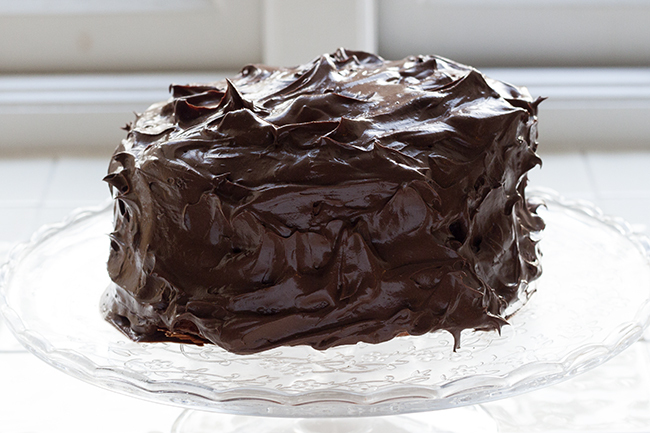 Once your cake is cooked, leave to completely cool before spreading on the ganache.